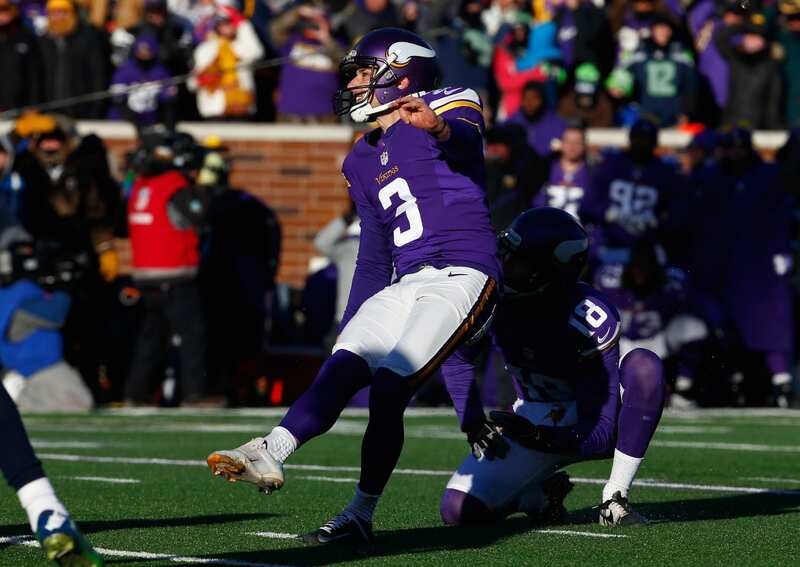 Sure it was 6 degrees below 0 (that’s 38 degrees below freezing) when Minnesota Vikings kicker Blair Walsh kicked the ball, and sure the laces were turned the wrong way, but fans had seen him make those easily all year. In fact, he had kicked field goals from 22, 43 and 47, in that order, to put the Vikings ahead 9-0 at the end of the third quarter. But Seattle came back in the fourth quarter to take a 10-9 lead and the game was on Blair Walsh’s shoulders. Except from the first-graders at Northpoint Elementary in Blaine, Minnesota. When Blair Walsh was told by his dad about those first graders writing encouraging notes, Blair delayed his plane flight home by a day and visited their classroom. This column was published in Sports Spectrum’s FREE Winter 2016 DigiMag #2. Click HERE to view the issue. Log in HERE to view past issues. Subscribe HERE to receive eight issues of Sports Spectrum a year.